Born at home on December 15, 1916 to Cyrus and Mary Scranton Evarts, Charlotte was welcomed into the world by her four year old brother Sidney. Growing up she sang in the church choir, played the piano, and belonged to the girl scouts. She attended Hand High School and was voted "most sarcastic," "best looking," "best smile," "easiest to get along with," and "prettiest teeth" by her graduating class. Upon graduation she entered the work force as a general clerk with Clinton Light and Power, which was later purchased by Northeast Utilities. Employed by NU and legacy companies for 45 years before retiring in 1979, she still made time for her community. She was a member of the First Congregational Church of Madison and was its historian, a choir member, and Sunday School teacher for 35 years. Her memberships included: secretary of the Deacon John Grave Foundation, treasurer of the Shoreline Visitors Bureau, Association of Connecticut Municipal Historians, Conn. Trust for Historical Preservation, a 24-year member of the Madison Board of Education before retiring in 1969. Charlotte received awards from many organizations, including the Madison Garden Club, Madison Jaycees "Distinguished Service Award", Madison Chamber of Commerce, Madison Grange #20, Madison Exchange Club, Griswold Post #79 American Legion. She was presented the "Book of Golden Deeds" award from the National Exchange Club in 1991. In April 1988 she was named the first Town Historian of Madison. In addition to providing a repository for an array of information about Madison, mostly on her dining room table and file cabinets at her home, she was an avid photographer. She documented changes throughout Madison and was dedicated to gathering a variety of pictures, materials and items relating to town history, as well as teaching historical facts about her home town. Her love of history came from her mother, who was also an historian for the First Congregational Church. Charlotte helped organize two books for the Madison Historical Society: Madison's Heritage and 300 Years by the Sea, a compilation of stories including those by her mother. Although very much involved in the community, Charlotte was devoted to her grandnieces and nephew. Every Saturday was play day at "Aunt Charlotte's," from playing with dolls and Barbies, to talent shows, baking in the Easy-Bake oven, dress-ups, and sing-alongs while she played the piano. 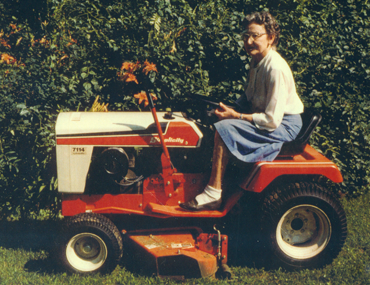 She could be seen all around town on her lawn mower, cruising from one location to the next, mowing her own properties along with the Church's, Deacon John Graves, The Grange Hall, the "triangle green," and even the Historical Society's lawn. In November 1993 she was interviewed by the Shore Line Times and was very excited about the Town Hall moving and the promise of a History Room in the former Town Clerk office. She believed "current things are becoming history . . . even telephone books are getting more interesting" as they show the growth of Madison. She was quoted as saying "I've somehow got to get organized" for the day the History Room came to fruition. Sadly she passed away two months later before this became a reality. 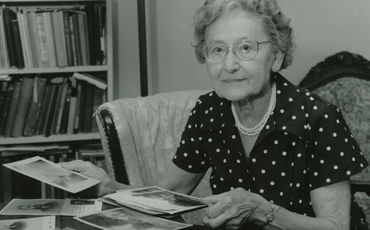 In her memory, Madison officials, residents, family and friends created the Archives.